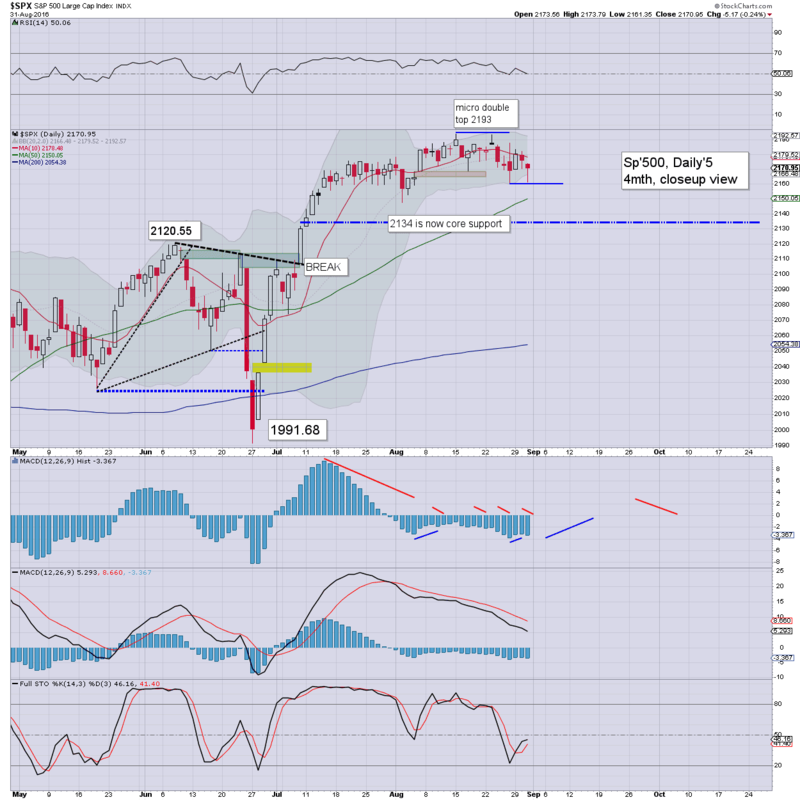 US equities ended the month on a moderately weak note, sp -5pts @ 2170 (intra low 2161). The two leaders - Trans/R2K, settled lower by -0.4% and -0.5% respectively. VIX settled +2.3% @ 13.42 (intra high 14.34). 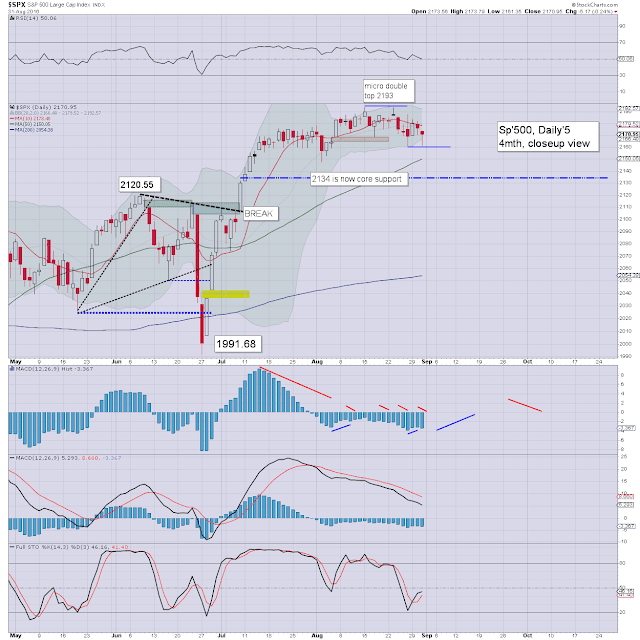 Near term outlook is for renewed upside, as the sp'2200s remain due. Today saw further weakness.. which was certainly a surprise. Yet the weakness was nothing of any significance, as has largely been the case since the BREXIT low of sp'1991. VIX remains naturally subdued, as the market is comfortably holding above the breakout level of sp'2134. 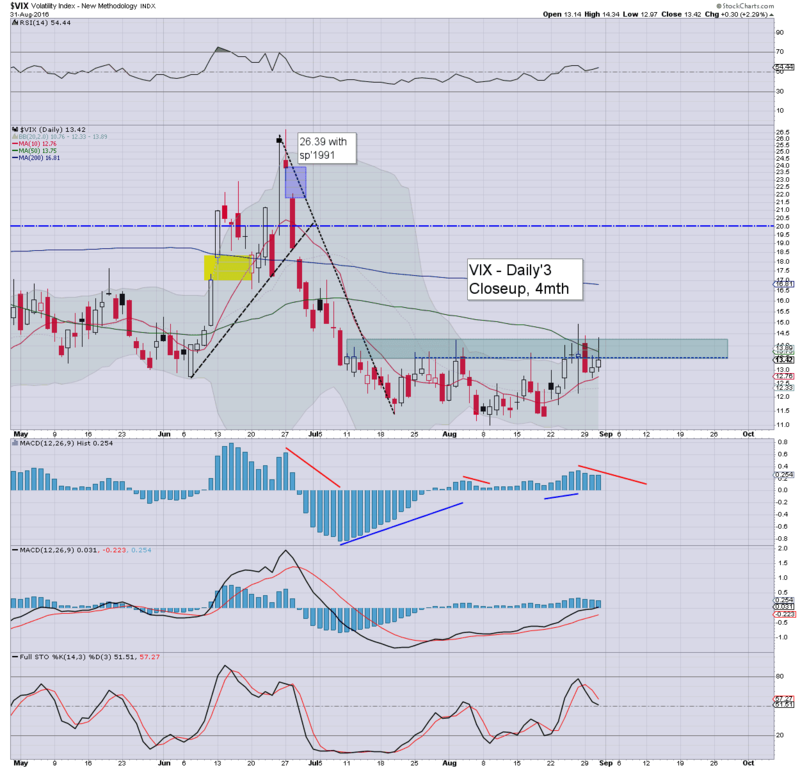 The key VIX 20 threshold looks out of range until at least the time of the Sept'21st FOMC. I remain of the view that rates won't be hike until Dec'. If correct, the VIX might see not 20s until early Nov', as the US election would be a natural excuse for some higher (if brief) volatility. Without highlighting a truckload of world markets in this post (I will cover it in full at the weekend)... it was still a broadly bullish month. 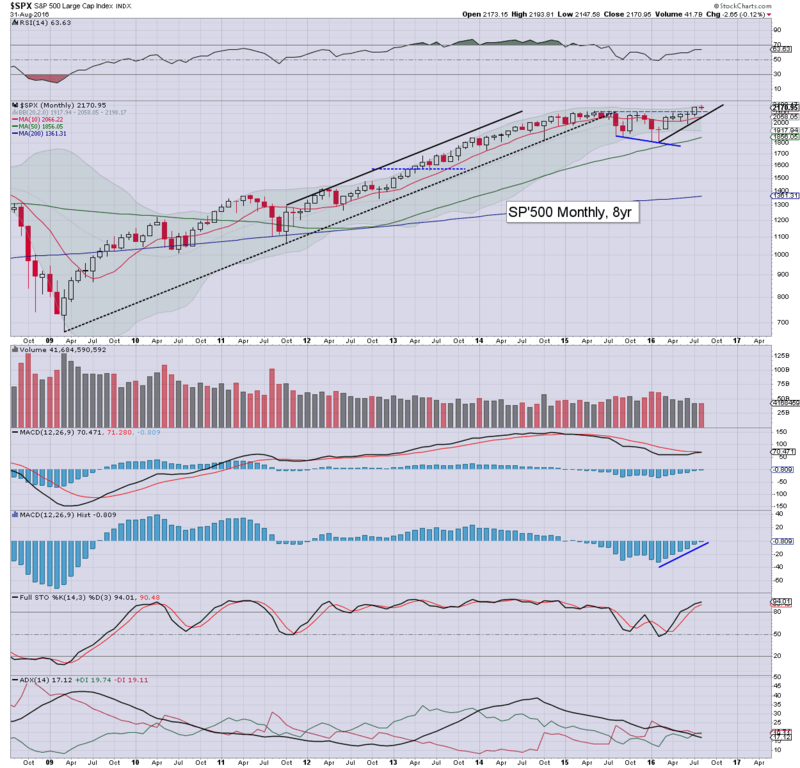 The sp' saw a net monthly decline of -2pts (0.1%), settling at 2170. There was a notable new historic high of 2193. Underlying MACD (blue bar histogram) cycle ticked upward for a sixth consecutive month, as the US market continues to battle upward. Clearly, Sept/Oct' can be tricky for equities, and we have the election in early November of course. 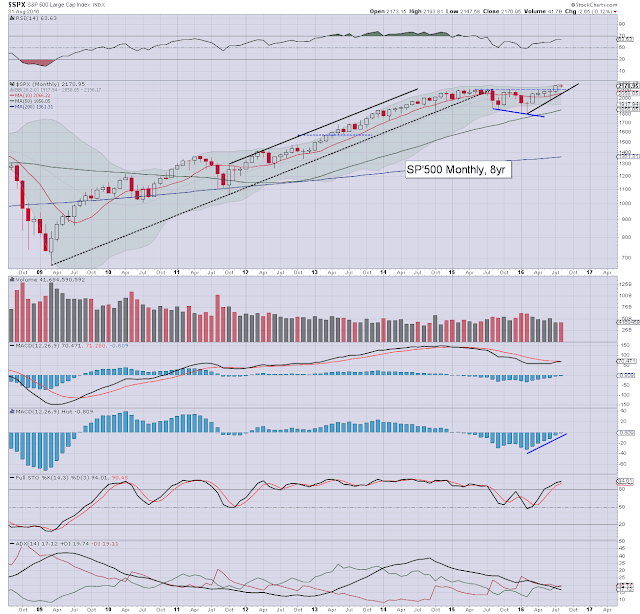 I'm well aware of some outlooks seeking the sp'1800s.. or even lower, but frankly, that just doesn't look probable. Instead, a year end close in the 2300s remains viable.. not least if Q3 earnings come in 'reasonable'.